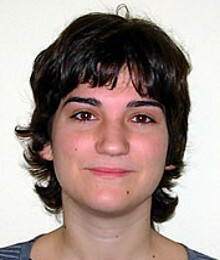 Laura was born in Teruel in 1983. She obtained a Bachelor degree in Optics and Optometry and a Master In Optometry and Vision Science (receiving the Best Student Award) from the University of Valencia in 2004 and 2008 respectively. In March 2008 she joined the Institute of Optics (CSIC, Madrid) as Laboratory Technician where she was involved in patient management, data collection and processing. Since June-2009 she is working towards a Ph.D in Optometry and Vision Science and holds a prec-doctoral fellowship at the University Politecnica of Valencia. Her current main interest is the assessment of the optical quality of intraocular lenses.